This is a collection of writings, teachings, and biographical information of Sayagyi U Ba Khin, a teacher of Vipassana from Myanmar (Burma). It also contains a commentary by S.N. Goenka, who was a student and appointed teacher of U Ba Khin. 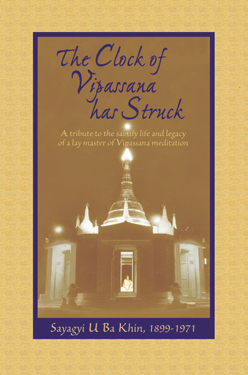 The story of U Ba Khin and his teaching of the Dhamma is set in context through an extensive interview with S.N. Goenka, conducted by Pierluigi Confalonieri, who also edited this tribute. It was published to commemorate the centenary of Sayagyi's birth, in 1999. After checkout, you will receive download links for the Mobi (Kindle), ePub (iPad, Android, other e-readers), and PDF versions.